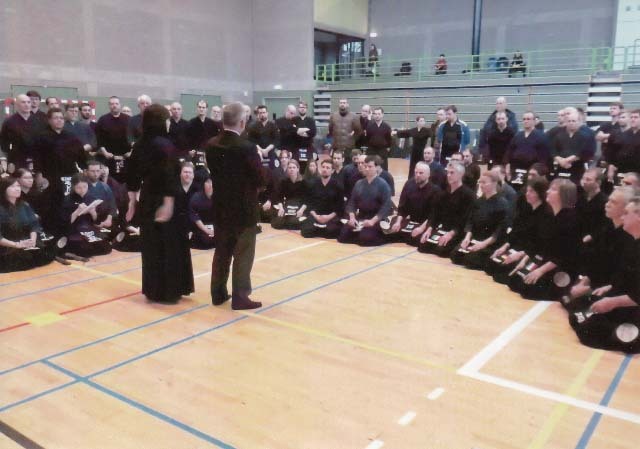 FIK European-zone Kendo Referee Seminar was held on 6th and 7th February 2016 in Brussels, Belgium. 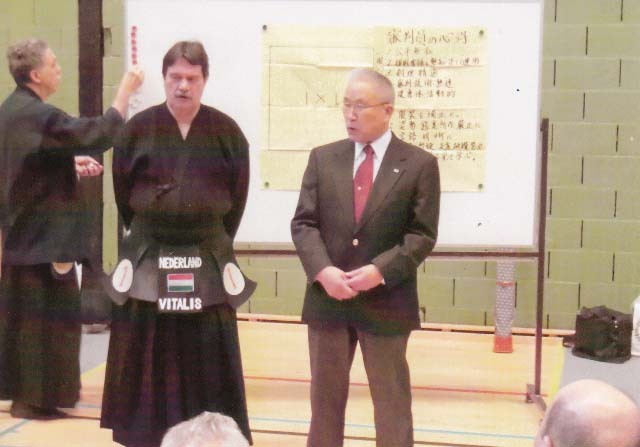 Yukio Sato-sensei, FIK Secretary General, also attended the seminar. The seminar was held from February 6–7 with 82 trainees from 19 European countries. 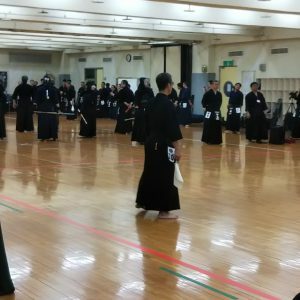 Also, some local kendoka participated as shiai-sha for the referee training. This made the total number participants more than 100. 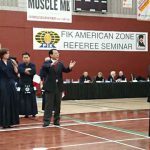 The opening ceremony started with a speech by Alain Ducarme-sensei, President of the European Kendo Federation and Vice President of International Kendo Federation, and another by Secretary General Sato. 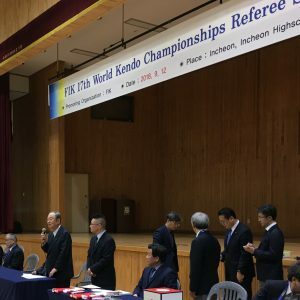 After that Iwatate-sensei explained the purpose of the seminar and important points of refereeing. The practical section of the referee seminar began immediately after. The morning of the second day was spent reviewing what was studied the previous day.